In earlier versions of Windows, Microsoft tried to pioneer an alternative file format to PDFs. It was first called XPS (in Windows XP, Vista, and 7) and later became OpenXPS (in Windows 8 and 8.1). 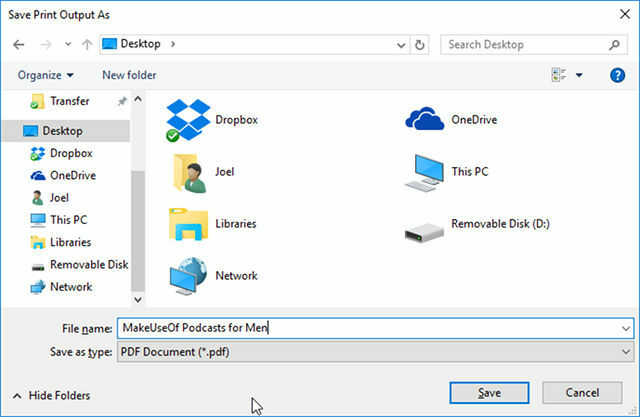 Now, in Windows 10, it seems Microsoft is finally ready to admit that PDFs are the way to go. 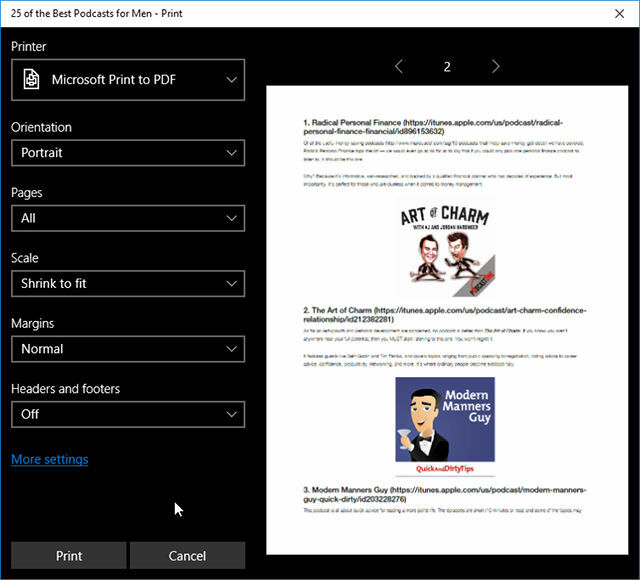 If you’re browsing the web using the Edge browser and you ever want to save a web page as a PDF for later, Microsoft has made it easy to do. Little by little, Edge is catching up to other browsers. Let’s say you want to save one of our articles as a PDF file so you can freely revisit it whenever you want. First, go to the article you want to save, as shown above, and open the menu and select Print. 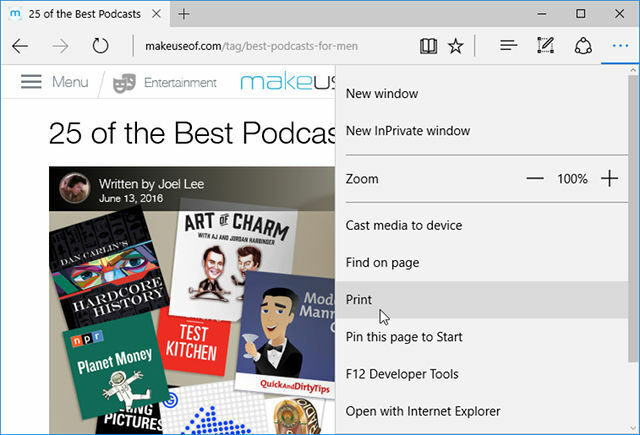 Edge will then take the entire web page and cut it up into pages, which you can browse by clicking the arrow buttons above the preview area. For the Printer, select Microsoft Print to PDF. You can also customize how the PDF document will be formatted by changing the orientation, scale, margins, headers, footers, and which pages you want to include or exclude. When ready, click Print at the bottom. Now all you have to do is navigate to a location, name the file, and click Save. And that’s it! Now you can turn any web page into a PDF document within seconds.